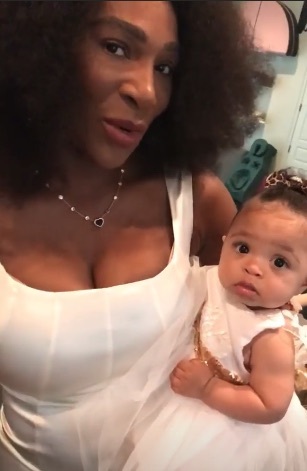 Serena Williams has the cutest baby girl, and she knows it too. Maybe that’s why they’re always twinning in adorable matching outfits. In addition to being the G.O.A.T. in tennis, Williams is a happily married mom. We get to see that on her social media, and it’s so sweet. She’s also a successful business mogul. 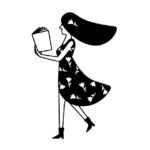 (Watch out for the upcoming launch of her reported cosmetics line!) In addition, she bravely uses her voice and platform to speak out for important issues. After she experienced medical complications following the birth of her daughter, Alexis Olympia Ohanian Jr., by emergency C-section in 2017, she talked about the racism inherent in the American health care industry and the importance of doctors listening to women about their own bodies. Just look at this gorgeous mother-daughter duo! "Olympia is wearing a beautiful tulle dress with gold, and it's white, and that's why I decided to wear white," Williams said. "Now check out her gold shoes! Olympia decided that she wanted to wear gold shoes, so mommy decided to wear gold shoes to match her, and we decided we'd try to be twinsies." We think you nailed it and then some, Serena. Truthfully, the two look adorably happy together in every pic, even when they’re not matching. Happy Easter, Serena and Alexis Olympia!